After putting together my Dark Age forces on Impetus-style bases, I realized that I really like the look of them, and so I decided to base the rest of my ancients the same way. I like the consistency of having them all based the same way, and I can use them for a variety of different rules. Right now, one of the rules I play is Hail Caesar, and this works just fine for that. I’m also thinking that I can adapt the Dux Bellorum rules for other periods, so this should work either way. 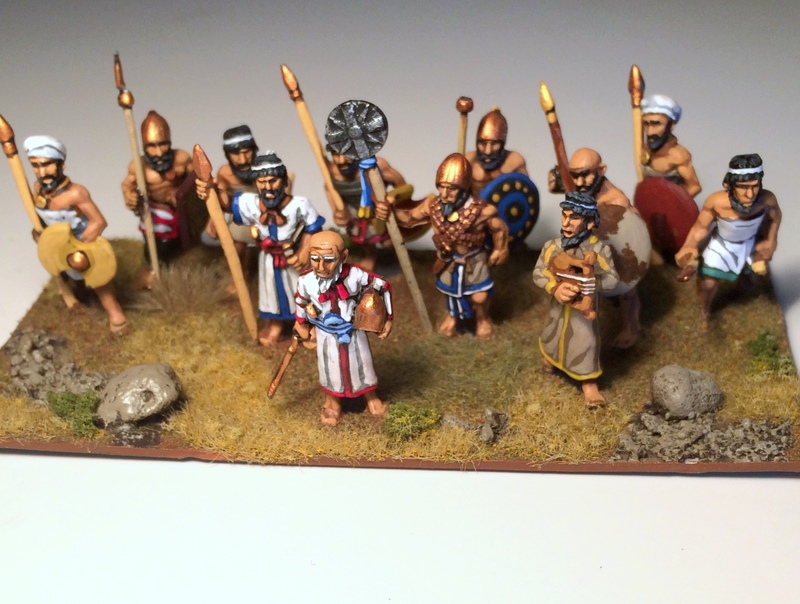 The first of the ancient units I based this way were my Canaanites and Sea Peoples. 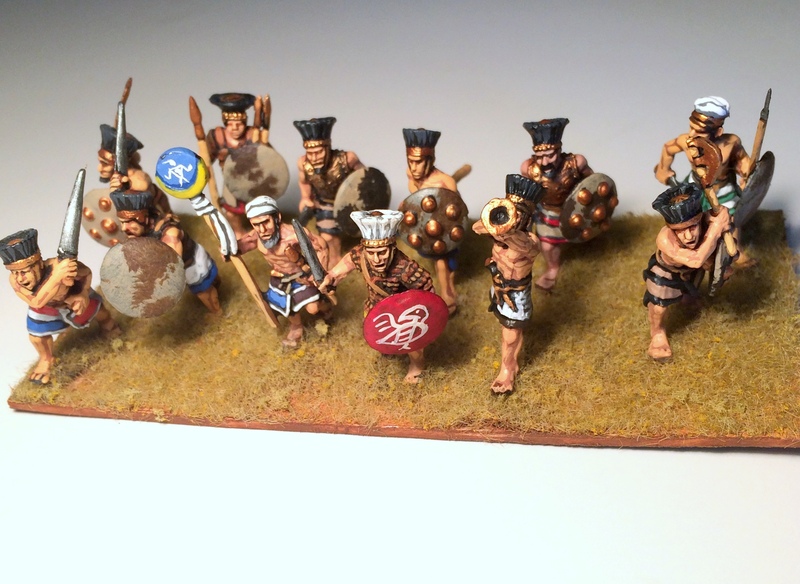 Eventually, I’ll get my Egyptians finished to join them. 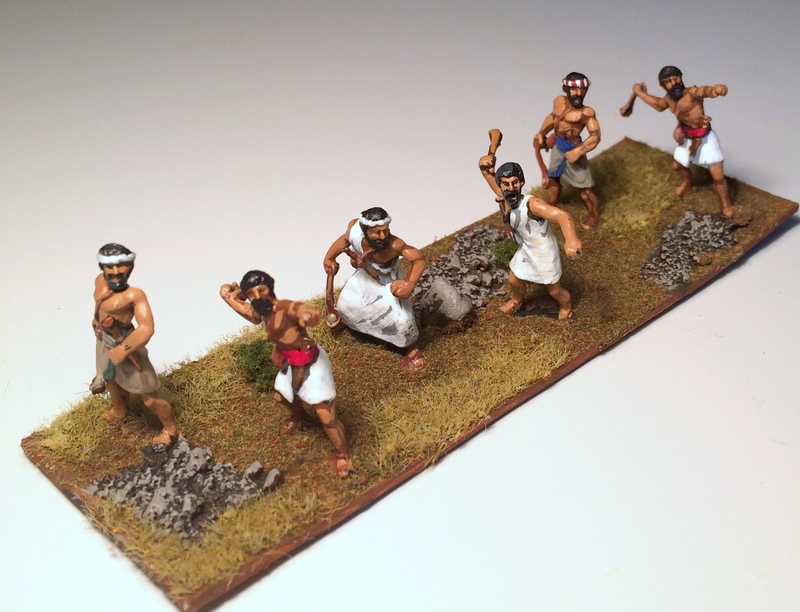 First up is the Canaanite king and retainers. This could also serve as an elite unit of household spearmen. All of the figures in this unit are Wargames Foundry. 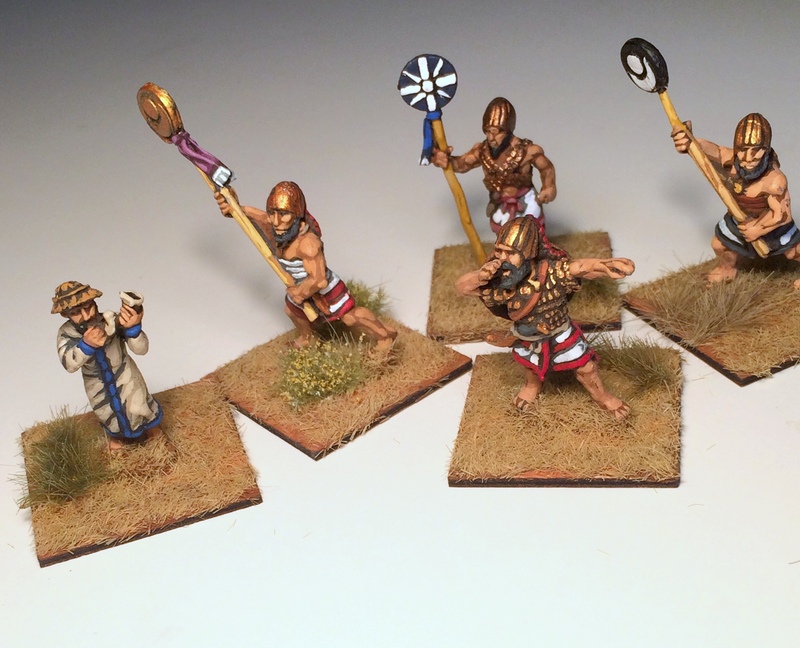 Next up are some Canaanite skirmishers, a unit of slingers and a unit of archers. These are all Cutting Edge. I’m putting the skirmish units on bases with half the depth of other units in order to distinguish them. If I want to use these to play Dux Bellorum, I have to have something to represent leadership points. Rather than using poker chips or dice to mark them (which I hate), my solution is to use command figures, as I pointed out in the Arthur Rex posts. I think it looks more “organic” on the table that way. 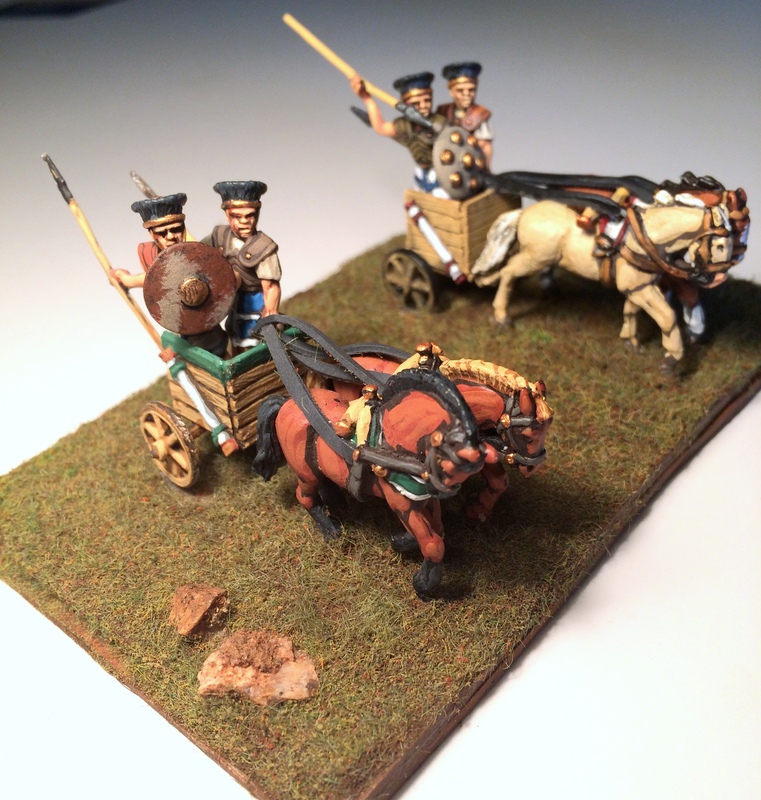 I made up several for both armies, and they can double as command units when playing with another set of rules. 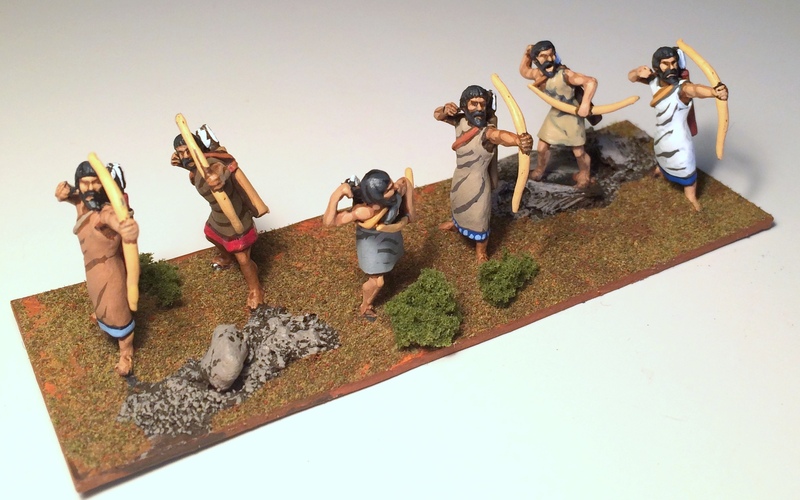 Here are some of the Canaanite leadership points,all of which are Foundry figures. 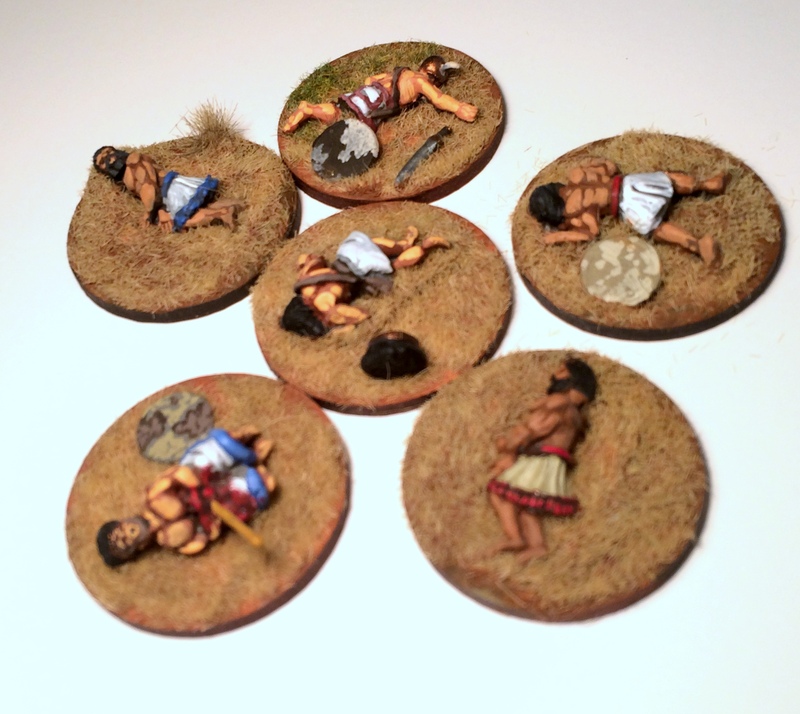 I put them on square bases to distinguish them from the casualty markers. And here are the casualty markers. 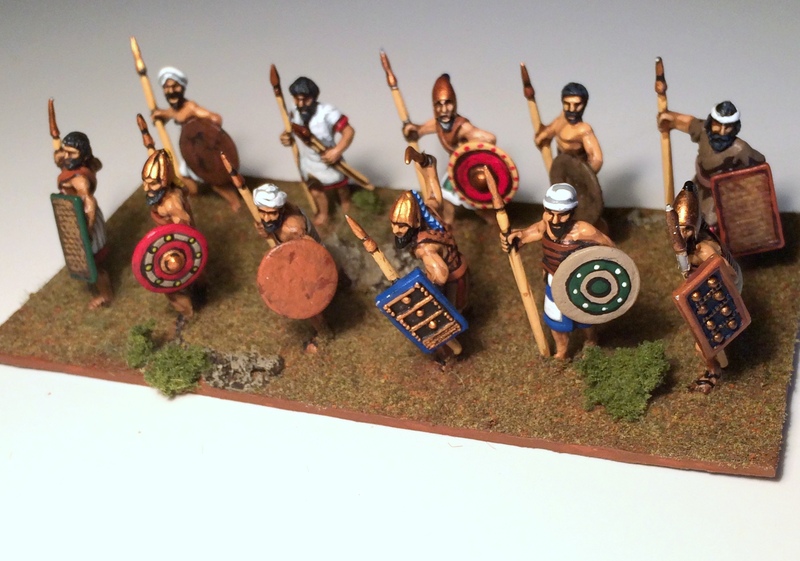 Most of these are from the Old Glory Trojan Wars casualty pack but converted with head swaps. Now we come to the Sea Peoples invaders. The first unit is mostly Old Glory (One has a head swap and is waving his helmet). 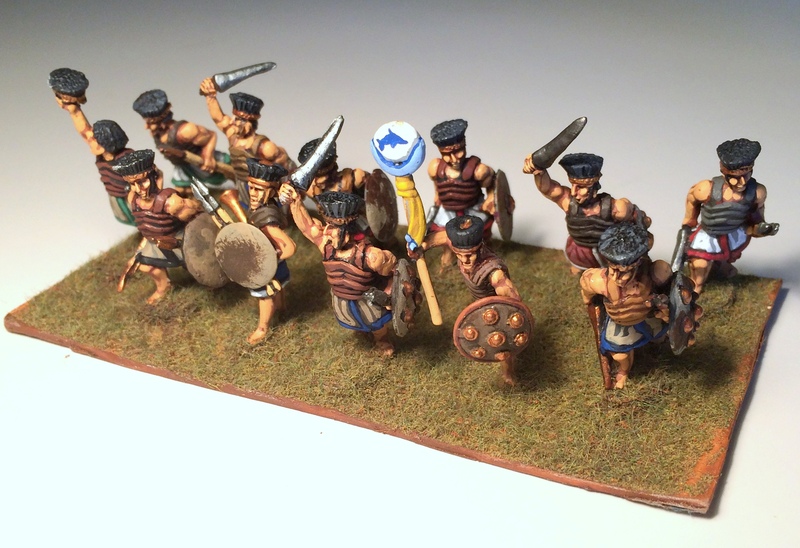 The rest are primarily Foundry, with a couple of figures from MDS scattered around. Last up are the Sea Peoples’ chariots. I had some chariots already in the lead pile just begging to be used for something, and I bought a bunch of crew members for them. I used Castaway Arts because they were the only figures I could find with a small enough stance to fit into those narrow cabs. Very nice! The basing really makes these great figures pop. The Caanite king is my favourite. These look great. Did not realise you had updated Biblicals. 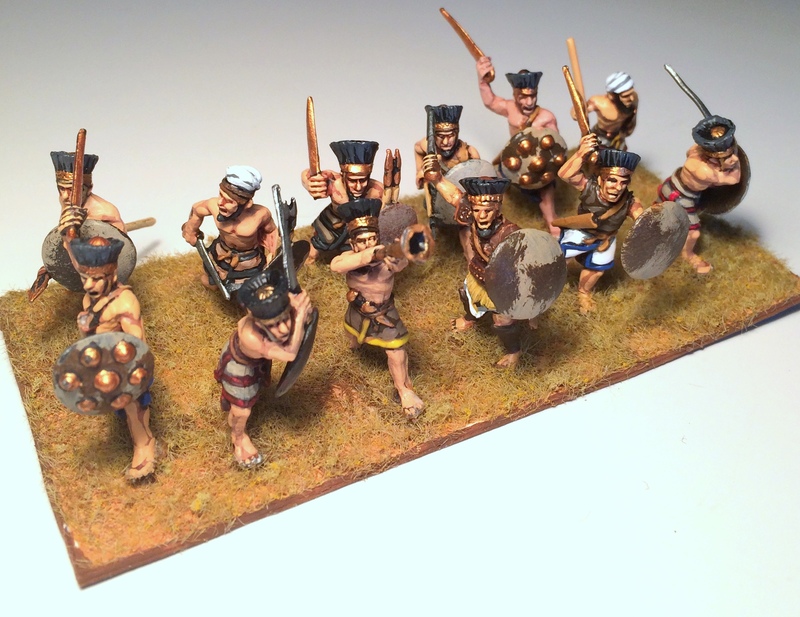 Really like the black crest for sea peoples and somehow to me anyway looks great as Philistines.